For decades, organizations have tried to implement structures and process changes to reduce patient harm. The measure of success has been reduction in overall adverse event rates, be they falls, catheter-associated urinary tract infections, pressure ulcers, central-line associated infections and others. Spurred by more recent value-based payment programs, healthcare organizations are collecting data to measure, trend, and benchmark adverse events at the unit, hospital and system level, and comparing them – or being compared publicly (like it or not!) – with national benchmarks. It’s not perfect, but we are doing MUCH better at recording and categorizing harms done to patients, even as our track record of preventing them is mixed. 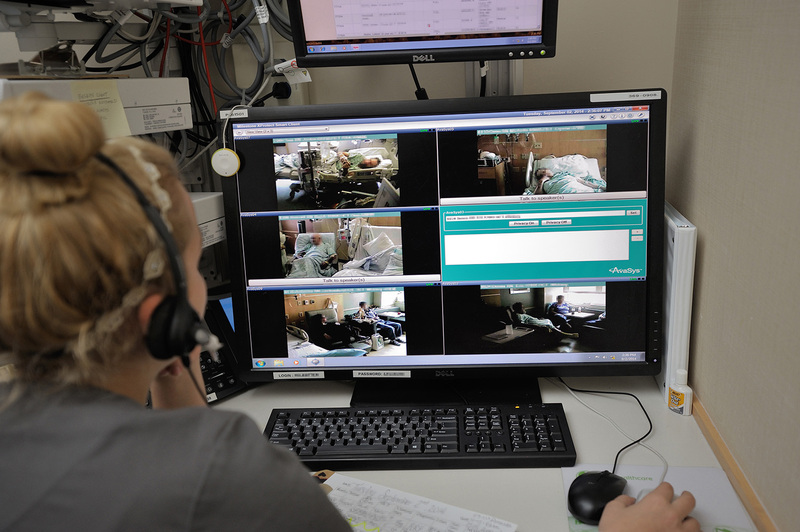 The measure that is not captured is the patient who almost experienced an adverse event, but that event was prevented because of diligent surveillance, immediate action and rapid staff response. This measure, the prevented adverse event – often referred to as a “near miss” – is the true safety net in organizations. Only AvaSure’s monitoring and program evaluation has added a level of precision to measure this true patient safety net in organizations. The latest generation AvaSys® monitoring software allows these near misses to be captured in real time by the monitor tech. ORNA® – AvaSure’s Online Reporting of Nursing Analytics, is the database that enables you to report, analyze and improve your performance. 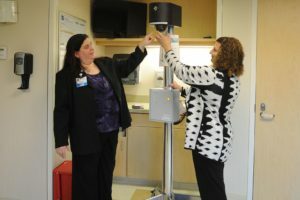 When a monitor technician observes a patient starting to inch closer to the edge of the bed or views a patient reaching for an item too far away, the monitor technician initiates a call to the nurse, while engaging the patient to let he/she know that a nurse is on the way to assist them. They encourage the patient to stay in bed so as to remain safe. 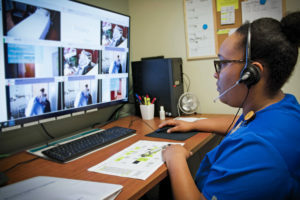 The monitoring technician enters data into that specific patient’s adverse event reporting system, and documents the fall as an averted situation and notes the interaction. The number of patients enrolled in surveillance who almost fell. The number of patients enrolled in surveillance for fall prevention. Those who tried to get up without help and the fall was prevented. Overall fall incidence for all patients being watched by AvaSys monitor techs. Overall fall incidence for those enrolled for fall prevention, as well as the rate for those who did not fall. Number of patients who had a fall prevented because of monitor technician’s intervention. This is the true safety net – vigilance, action and response! Monitor tech performance: The number of interventions/interactions with patients that resulted in a prevented adverse event. 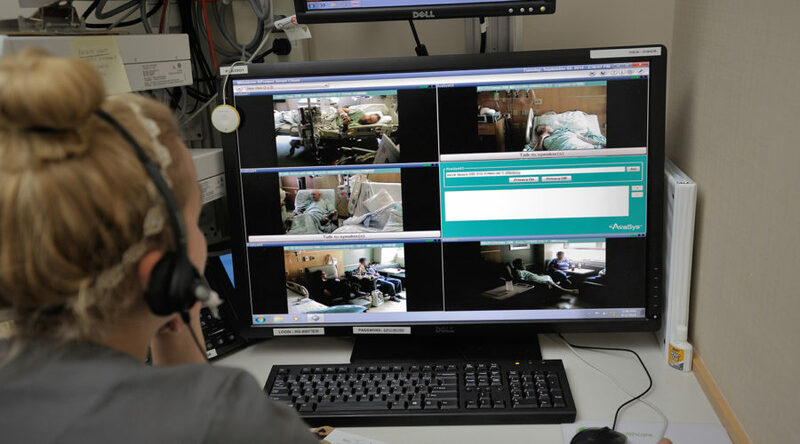 Timeliness of emergency response: The number of seconds for staff to arrive at the patient’s bedside following the monitor tech’s activation of the Stat Alert. All data elements paint the picture of your organization’s safety net. Importantly, data elements 3, 4 and 5 provide you with valid and reliable data that only AvaSys’ ORNA database can deliver. This is a true measure of vigilance and rapidity of response to urgent or emergent patient safety situations. To capture the true safety net of early detection and timely workforce response with comparative ease and accuracy is very exciting! 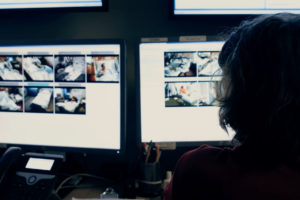 For each the “early detection of an at-risk situation,” AvaSys’ ORNA database enables data collection of the risk factor that was mitigated/eliminated because of each detection and near immediate staff response (an average response of 13 seconds). For those using the new software and ORNA, please share with us your experience with measuring prevented adverse events. For those who are not, I have a simple question: What are you waiting for?